Daneya is a modern, enterprising, and enthusiastic native New Yorker, who brings a sharp wit and can-do attitude to her many projects. Before moving to Delaware in 2009, Daneya had begun her pursuit in social-entrepreneurship with Youth Venture. Daneya was fortunate to receive $1,000 in start-up funding and technical support which she used to create fashion shows that promoted fashion forward and modest attire for teen girls. Daneya remains passionate about educating girls with support from Youth Venture. Daneya founded Just BE and continues to educate girls about harmful media messages and provides them with tools to create new and uplifting messages. In 2014, Daneya teamed up with her husband and opened Candy Connections, a small business in Middletown, Delaware, while still remaining active in the non-profit sector through her work with Children & Families First. Daneya’s passion for issues related to women and girls and her experience provided her the opportunity to become a Commissioner for the Delaware Commission for Women. A combination of being a minority woman business owner and exposure to equal pay issues for women through the Commission, made Daneya extremely passionate about becoming a financial coach for $tand By ME. Daneya decided to step into the financial coaching world with $tand By ME because she wants to teach everyone, not only women and girls how to be financially successful in business and life. She has learned many lessons by being a business owner and social entrepreneur. 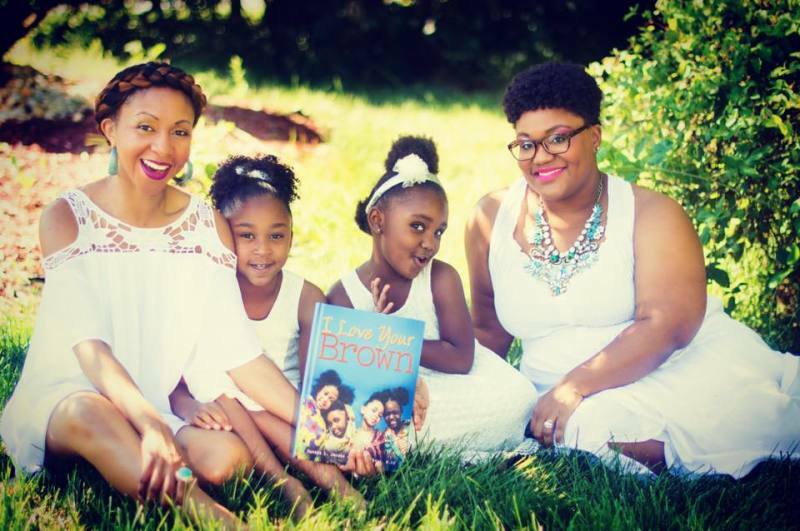 Recently after many convesations with her close friend Atiya Chase, Co-author of I Love Your Brown, Daneya realized the importance of empowering younger girls. As a mother of an energetic, caring and beautiful daughter, Daneya knows firsthand the importance of celebrating and supporting her daughter! Atiya is a visionary on a mission to inspire little brown girls everywhere. As a certified school counselor, Atiya has worked in urban public, private and charter schools. She understands how important it is for children to have positive role models to help break the negative generational, societal and environemental norms. Throughout her career working in the public school system, Atiya witnessed first hand the tension between young black girls. Their criticism of themselves and brown female peers was heart-breaking. Atiya found it important to bring brown girls together to combat relational aggression. In 2011, while working at an inner city middle school in Delaware, Atiya saw a need for an outlet amongst 6th grade brown girls. She quickly went into action and designed and facilitated a counseling group called, Girl, We Need to Talk. This forum provided at-risk girls the opportunity to ask hard questions and learn to build friendships with and celebrate girls like themselves. After having her own daughter, Bella, Atiya thought it was important to involve her in dance, soccer and swim to encourage athletism. Participating in these activites is where Atiya noticed the disperity of brown girls in Bella's classes. At the age of two, Bella wanted to have long hair like the young dancers she saw once a week. By the age of three, Bella verbalized that she wanted to be peach like mommy and her classmates. Heart-broken, Atiya knew that something had to be done in a major way for all the "Bellas" of the world. Jumping into action with her sister-friend, Daneya, together they purposely created a platform to celebrate brown girl beauty. I Love Your Brown was birthed. In 2015, Atiya and her husband, Kenith becamed published authors of their first installment of The Jesus Habit for New Disciples. A graduate of the University of Delaware and Wilmington University, Atiya's passion for education and drive will enable her to reach many brown girls hiding in the shadows and build self-confidence by recognizing their own worth.